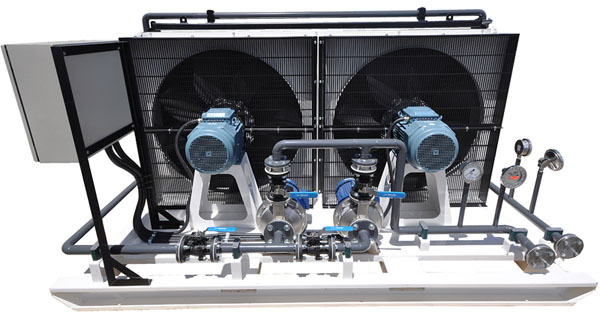 At Allied Heat Transfer, we specialise in the design, manufacture, and maintenance of high quality cooling systems and components. Although we are a relatively small manufacturer, we have one of the very best teams in the business: highly talented and experienced engineers who utilise the latest technological advancements to design efficient heat exchangers, and provide elite repair services for our clients. In fact, our size is an asset as far as we are concerned because it allows us to adopt a more flexible approach than our larger competitors and to offer our clients a personalised service they will not find elsewhere. Our clients come from a large range of industries, typically Marine, Power Generation, Hydraulics, Pneumatics, Refining, Chemical Plant, Mining, Oil & Gas, Drilling and Industrial. Usually our customers have either a project need that requires us to design and /or manufacture a new cooling system, or have a process need where existing heat exchangers that are in service need re-design and maintenance checks because of a change in the process. Quality Assurance: Our company operates in accordance with a business management system accredited by DNV in accordance with ISO 9001. Safety: We operate in accordance with the requirements of ISO 140001. Environmental: Our company operates in accordance with AS/NZS 4801. Allied Heat Transfer’s design capability includes Thermal Calculations, Mechanical Calculations and Air Flow Calculations. Applicable codes and standards include AS1200, AS1210, AS1170 ,AS1554, AS1665, AS3992, AS4037, AS4458, ASME Section VIII. Div 1, ASME Section 1, API, TEMA. At Allied Heat Transfer we have a team of highly qualified heat transfer engineers, with a combined heat exchange experience of over 80 years continuous involvement in the field. Our company utilises the latest engineering software, such as HTRI’s Xchanger Suite, PV Elite, and FEA modelling. All exchangers are modelled using Solidworks so we can provide you with PDF drawings, 2D drawings or 3D models to allow you to design your system to suit. Manufacturing Capabilities include Shell and Tube Type Heat Exchangers, Air Cooled Heat Exchangers, Radiators, cogeneration Exchangers, Oil Coolers, Complete turnkey cooling and heating systems, Pressure Vessels, Fan Systems. Our manufacturing department is led by a dedicated team of experienced staff and routinely manufactures equipment in accordance with International standards. All welding is completed by experienced tradesmen to procedures qualified to recognised industry standards. All non-destructive examination is completed by inspection agencies with world recognised accreditations. 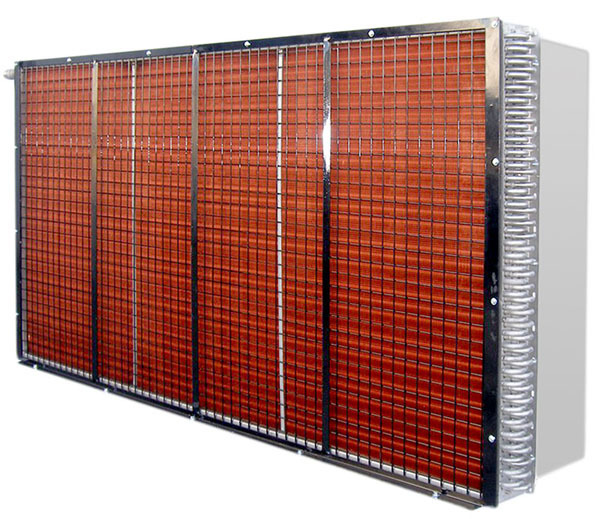 An integral part of an Air Cooled Heat Exchanger or Radiator, the Fan is built and balanced at Allied Heat Transfer. Parts and complete fans are available at short notice. 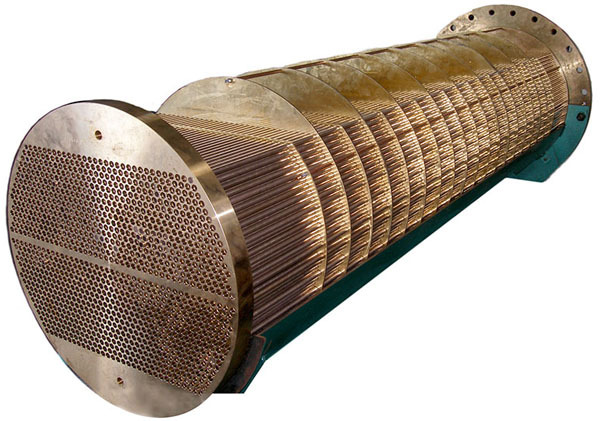 Inspections of heat exchangers are complete by our Qualified Pressure Vessel Inspector. Hydrostatic pressure testing is conducted in our NATA accredited testing facility (NATA are a recognised accreditation body for examination and testing laboratories) in accordance with Standard AS4037. After hydrostatic pressure testing, a NATA test certificate is issued detailing the pressure and temperature readings over the test period. 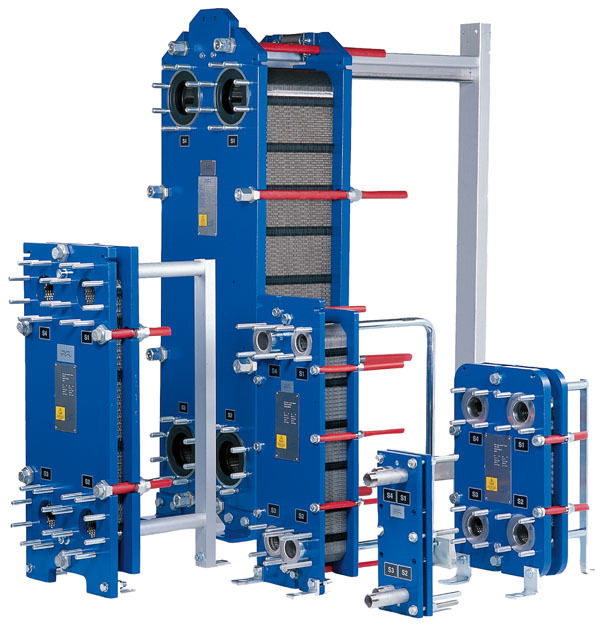 This piece of equipment enables Allied Heat Transfer to evaluate and plot the heat transfer performance of any heat exchanger construction thereby defining its heat rejection performance. 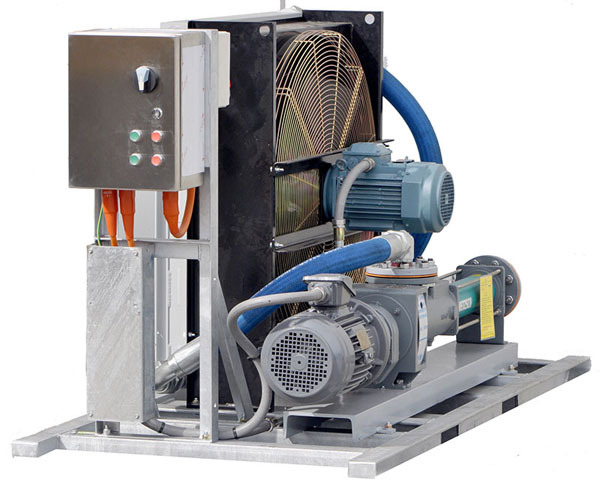 The test unit facilitates the optimum thermal design of heat exchange systems where reductions in size, weight, noise and cost are a requirement. The CSIRO (Commonwealth Scientific and Industrial Research Organisation) have recognized the capabilities of this cutting edge piece of equipment and thus placed the Allied Heat Transfer Rig on the Technology Partnerships Equipment Register. 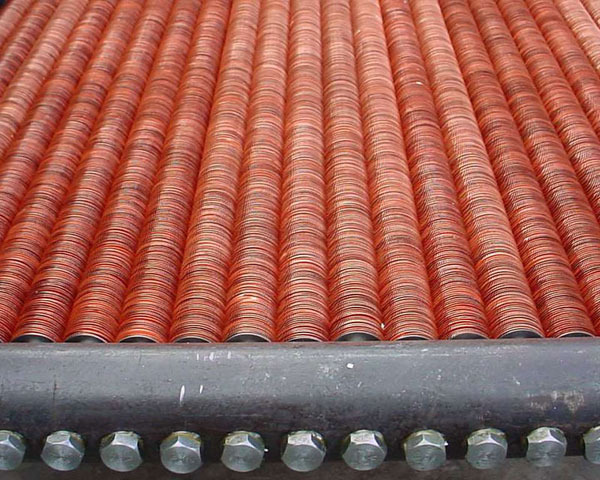 Fatigue can often be a cause of failure for heat exchangers and it is useful to know how many pressure cycles a unit can be subjected to before it begins to deteriorate. 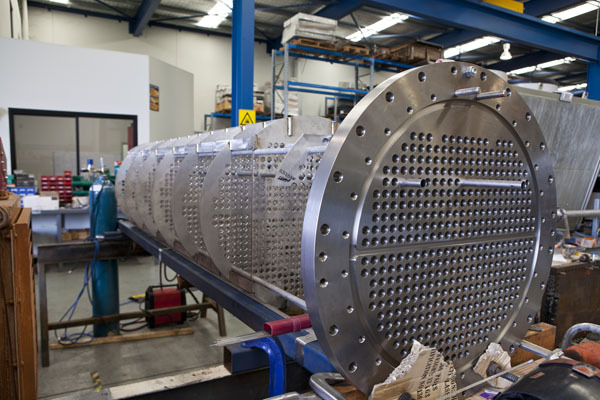 Through our Fatigue Testing Unit we apply pressure cycles of varying magnitude and periods to a Heat Exchanger. Throughout the test the exchanger is monitored and inspected, often tested to failure with the number of cycles before failure being recorded. Several identical exchangers can be tested to determine the expected service life for any range of products. If you would like to have a product tested, visit out maintenance division or contact us today to see how we can help. We can design a brand new heat exchanger for a brand new cooling system, evaluate current systems and create new exchanger designs that will work with them perfectly, or reengineer existing units to improve efficiency. In short, whatever your needs, we are sure that our design team are capable of meeting them. Our diverse industry experience enables us to anticipate our clients’ requirements; our knowledge and expertise covers air-cooled exchangers, shell & tube exchangers, oil coolers, industrial radiators, and many other types of heat transfer components. All of the components and systems that we design are fabricated in house, at our well-equipped manufacturing facility. Using high-grade materials, experienced fabrication personnel, and efficient manufacturing processes, we are able to produce quality units at affordable prices. Furthermore, our lead times for custom manufacturing jobs are among the shortest in the industry, enabling us to meet the needs of customers working to tight deadlines. If you would like to discuss lead times for a specific heat exchanger design, please do not hesitate to call and speak to us during normal business hours. While many companies want nothing more to do with a product once they have designed, manufactured and installed it, at Allied Heat Transfer, we support our customers for as long as they desire. We offer a full maintenance service to all of our clients, with a guaranteed fast turnaround for emergency repair service. Maintenance work can either be carried out onsite or the components in question can be sent to us, to be serviced in our workshop.